I decided (very last minute) to enter the Sewing with Nature contest. 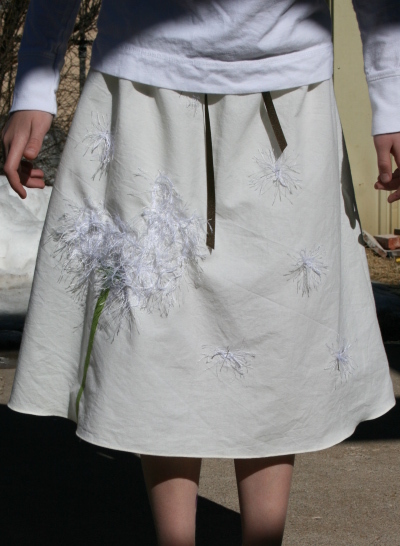 http://craftzine.com/sewingwithnature/ I made a basic a-line skirt for my daughter using white muslin that I hand-dyed with spinach leaves. 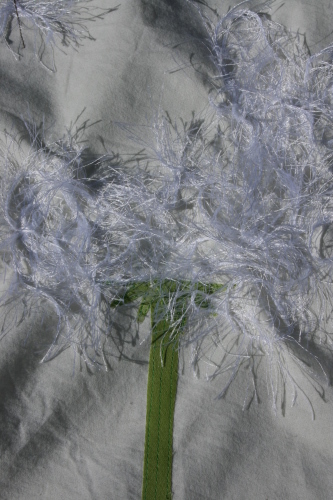 I then appliqued on the dandelion stem and leaves and attached the eyelash yarn with free-motion. 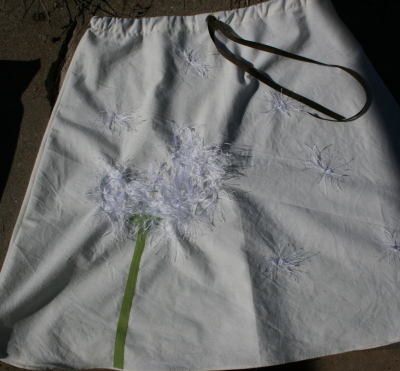 For the blown "seed", I tied a piece of the yarn in a loose knot and sewed them on with brown thread as the stems. It's pretty basic and simple, but I'm pleased with how it turned out. Dyed the fabric yesterday and made the whole thing today. This was the best pic I had that showed the brown stems on the blown seeds. And, an action shot of my daughter spinning. How adorable!!!! I'm might have to attempt this on a bag... great job! Gorgeous! I love it! If you are stateside, can I ask, where do you get your muslin? I've been disappointed by the quality of muslin at Joann's these days. Thanks. 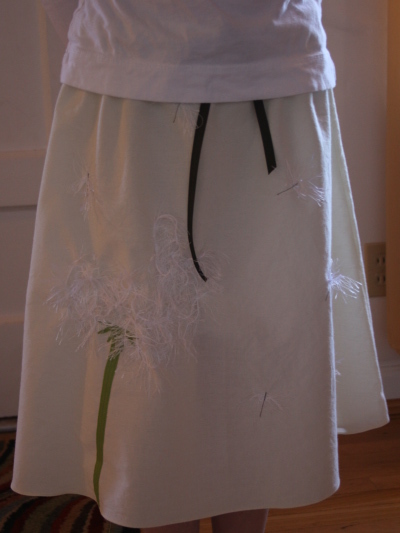 I used muslin that I've had in my stash for quite some time. In fact, everything but the spinach dye came from my stash. However, there are no fabric stores where I live, so I often buy most of my fabric at Walmart, or at Joann's if I'm willing to drive even further. Maybe someone else could suggest a place for purchasing decent muslin. Very beautiful. I love the blowing pieces of the dandelion! Excellent job. This is beautiful. Great idea to use eye lash yarn. this is so cute! what a lucky girl to have such a talented mom! simple and beautiful. 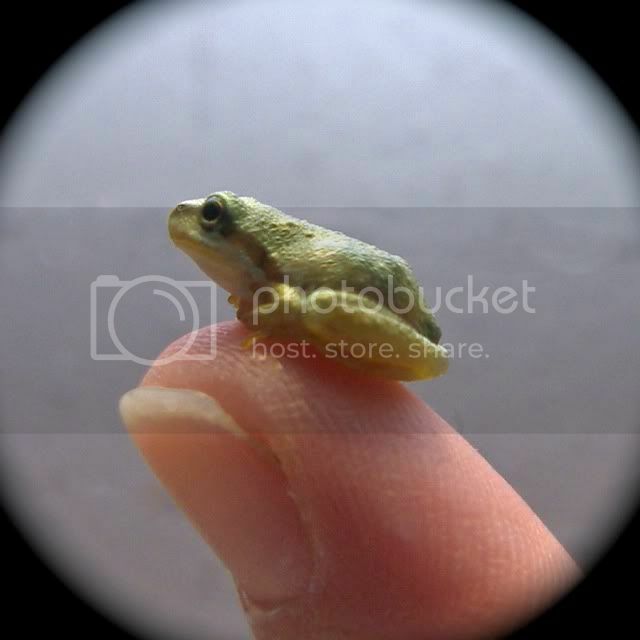 I would very much like one for me! I'm impressed. I want to reach out and touch it.